This building is notable both for its historical associations and its architecture. It was built in 1916 for the Halifax Electric Tramway Company which had operated the Halifax electric tram system (the Halifax Street Railway or the “Birneys”) since 1895. 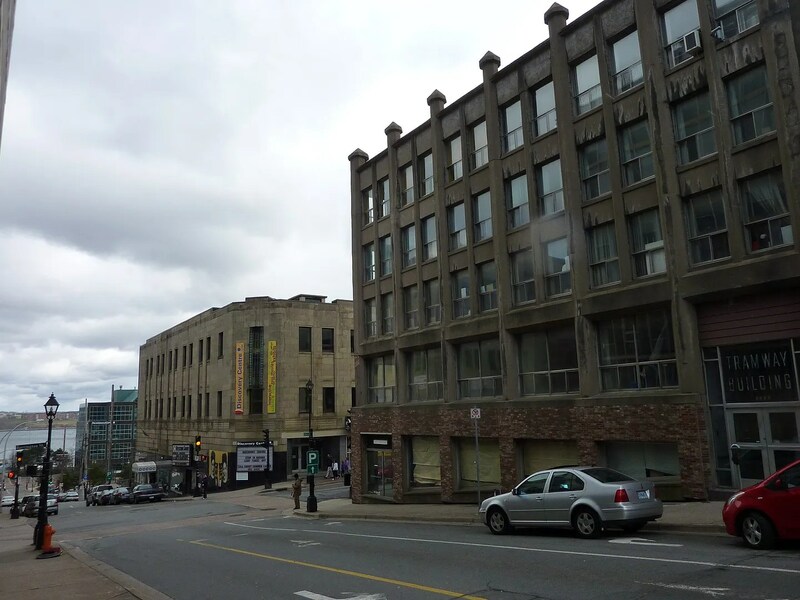 In 1916/1917, the company was reorganized under the title of the Nova Scotia Tramways and Power Company, and the move into this building probably coincided with that reorganization. The company continued in operation until 1949, when the rail-based trams were replaced by more modern electric trolleys. The building had, and still has, two storefronts, one of which was the home of Tip Top Tailors from 1921 -1941 (see 1592 Barrington) and the other of which housed Chas. Brown Furriers from 1942-1983. 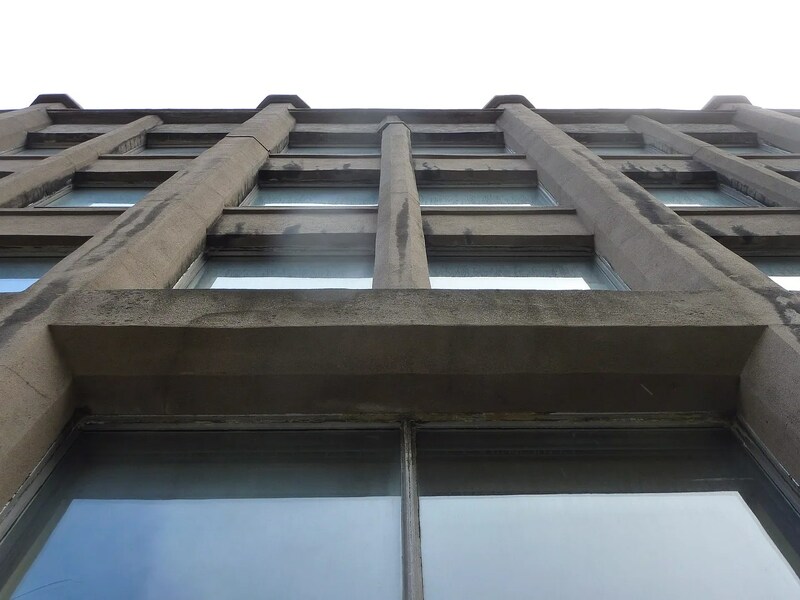 Its architect was Andrew Cobb, one of the city’s most well-known early 20th century architects. Originally from New York, Cobb studied at Acadia University, M.I.T., and the Ecole des Beaux Arts, in Paris. He set up practice in Halifax about 1909, at first in partnership with S.P. Dumaresq, but later on his own. Cobb designed many buildings in Halifax, including the Acadia Insurance building (1656 Barrington), the old Casino Theatre (now demolished), many buildings at Dalhousie University, and many houses designed in the English Arts and Crafts style. He also collaborated on the highly regarded Bank of Nova Scotia building and the Provincial building, which both face Province House. Cobb maintained his office in the Tramway building for the first year after its construction and also from 1938 until his accidental death in 1943. 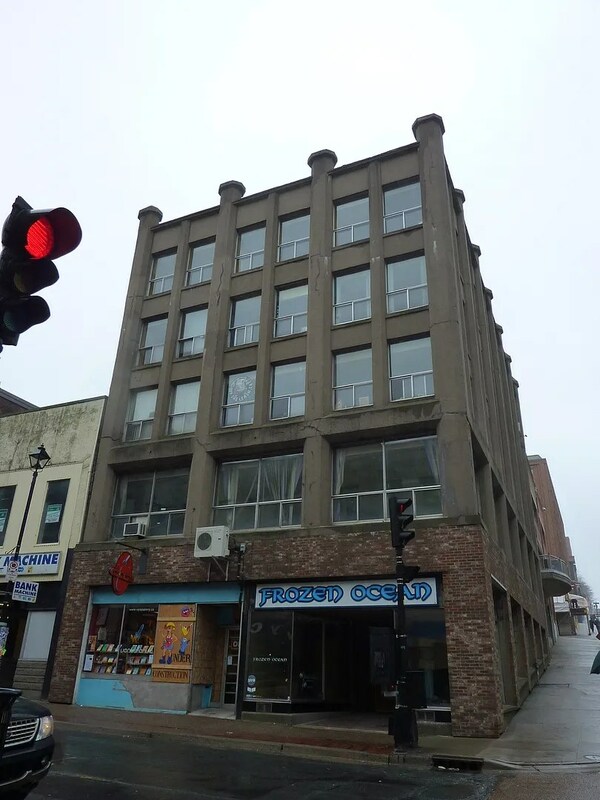 The Tramway building itself is notable as Halifax’s only example of the Modern Neo-Gothic style and as the first building on Barrington Street to use concrete extensively in its construction. Octagonal pillars articulate the facades and culminate in a series of pointed turrets that punctuate the roofline and give the building its castellated, neo Gothic look. The smooth, concrete finish of the pillars accentuates the simplicity of the forms and creates a definite “modern” look that was perhaps, in 1916, ahead of its time. My father used to work for Prudential Insurance in this building. In the 1960’s, I used to accompany him when he worked on the weekends. 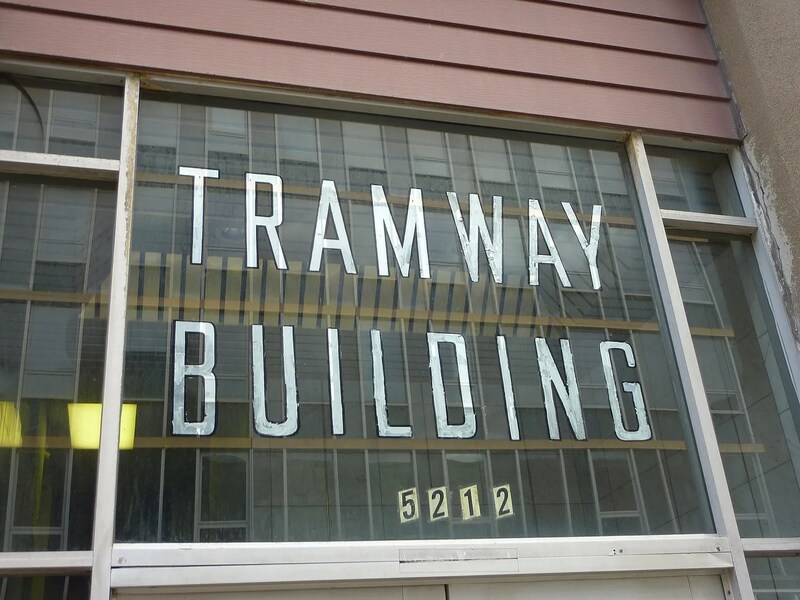 I never knew the history or significance of the Tramway Building, but now that I’ve read what you’ve written, I realize that we have to preserve it as well as the rest of Halifax’s downtown. This was tremendously interesting! Thank you.